Hotel Çakir is ready to host your training meetings, seminars, cocktails and banquets, as well as other special days. 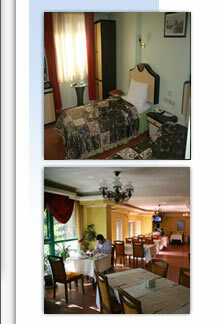 With our professional staff and sufficient technical equipment we are able to offer you different halls. The meeting and seminar room with a capacity of 100 persons is at your service with a wall movie device, a projector and a wall movie screen. The Yakut Hall is at your service for your special days like banquets, engagement, birthdays, etc. with a capacity of 100 persons. Offering a relaxed atmosphere at any time of the day the sitting room is a place where you can sip your evening tea, read a paper and watch TV and forget about the day's fatigue in an enjoyable conversation with your friends. We wish you enjoyable moments in our sitting room where you can chat drinking your coffee at any time of the day. Your cars are in total safety at our hotel's car park.